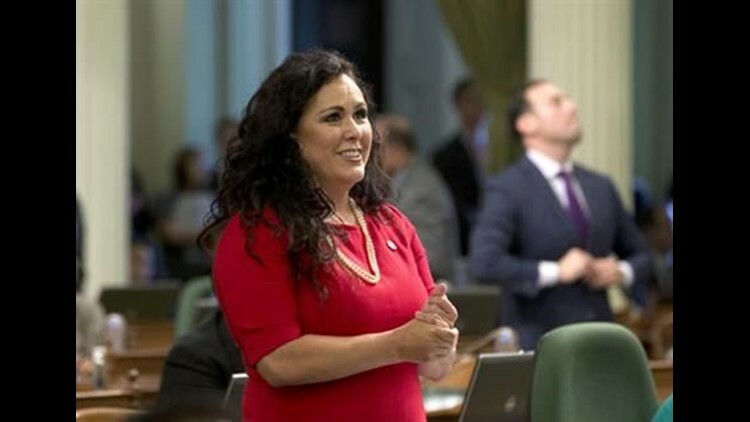 Assemblywoman Lorena Gonzalez proposed a bill Thursday that would guarantee full wage replacement for workers who make up to $100,000 a year through the state's paid family leave program. SAN DIEGO (CNS) - Assemblywoman Lorena Gonzalez proposed a bill Thursday that would guarantee full wage replacement for workers who make up to $100,000 a year through the state's paid family leave program. Gonzalez introduced the bill after Gov. Gavin Newsom introduced his budget proposal for fiscal year 2019-2020, which includes a provision to increase the state's paid family leave program from six weeks to six months for new families. Currently, California families can receive between 60 and 70 percent of their income during their paid family leave window. "Workers who need to use family leave absolutely deserve more time off, but first they deserve to be able to take that time off," Gonzalez said. "Many working class Californians aren't able to use our paid family leave program because they can't afford to receive only a portion of their paycheck. A worker shouldn't have to choose between meeting their household budget and taking necessary time off during critical moments in life." A March 2017 report by the Pew Research Center found that 17 percent of people with an annual income between $30,000 and $74,999 wanted to take time off from their jobs but weren't able to due to budgetary concerns. That number rose to 30 percent for people making $30,000 or less. A May 2016 Associated Press poll also found that 72 percent of Americans support paid family leave programs. In 2002, California became the first state in the U.S. to adopt a paid family leave program. The program went into effect in 2004. According to Gonzalez's office, California also would be the first in the country to guarantee full income replacement if her bill is signed into law and the first to extend paid time off to six months.